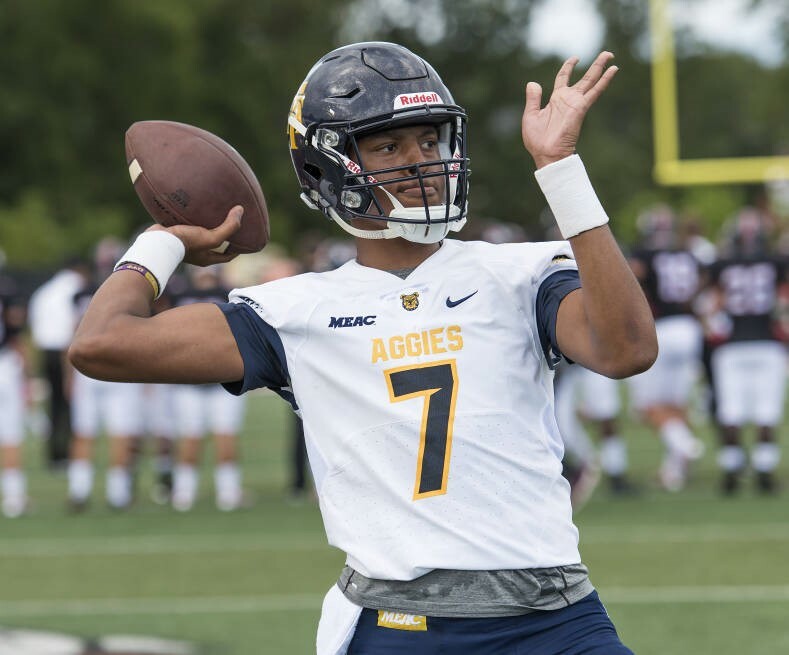 The first Saturday in December usually has conference championships on the schedule and this past weekend gave us our final four for the College Football Playoff. Well, sort of. Impressive performances by Oklahoma, Clemson, Georgia, and Ohio State resulted in each team becoming champions in the Big 12, ACC, SEC, and Big Ten conferences respectively. Oklahoma quarterback Baker Mayfield helped cement his case as the Heisman favorite this season while the Clemson Tigers, led by junior quarterback Kelly Bryant, looked absolutely dominant against Miami. 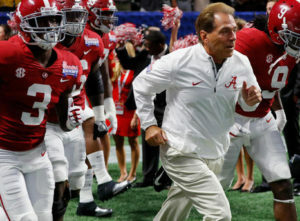 The Bulldogs got revenge on Auburn in a “road” SEC Championship game and even with Ohio State winning their title game, there was a major shakeup in the College Football Playoff setting. 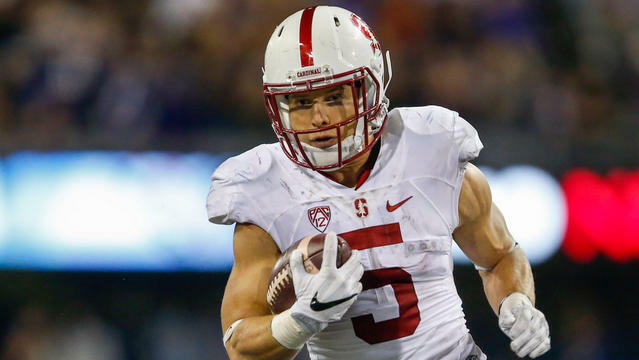 Let’s highlight key takeaways from the College Football Playoff and bowl season schedules. season finale loss to Auburn last week. Not to mention that their strength of schedule was ranked 47th in the country. Ohio State was the obvious loser in this equation as they were left outside in the cold at 5th in the rankings despite beating undefeated Wisconsin for the Big Ten title. What hurt the Buckeyes was a 31-point loss on the road to Iowa a few weeks back, which is still fresh on the minds of the committee members. It’s tough putting a two-loss team in the CFP. It’s even tougher putting a team in the CFP that didnt even win their conference. While Alabama tussles with Clemson in the Sugar Bowl for one-half of the CFP bracket, the #2 vs. #3 matchup on the other side of the bracket provides plenty intrigue. The hard-nosed Georgia Bulldogs will battle with Oklahoma in what is sure to be a hard-hitting, bare-knuckle fight. A game within the game is the #4 ranked Georgia defense locking horns with the #1 overall offense in college football in Oklahoma. This is definitely the most talented defense Mayfield will encounter up to this point. This will also be the first ever matchup between the two schools. being snubbed from the CFP. Meanwhile, USC won their Pac-12 title game contest against Stanford on Friday night and now have an opportunity to put a bow on the season. 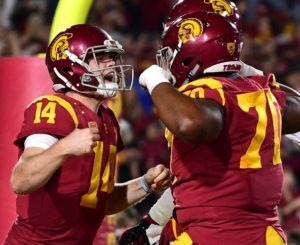 Can USC’s Sam Darnold end his roller coaster 2017 season on a high note? 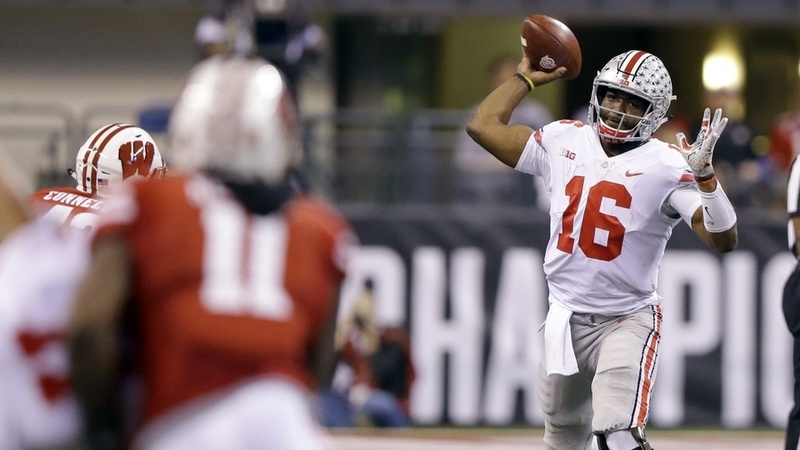 Will Ohio State approach their game with their minds on the CFP instead? UCF needed two overtimes to win the AAC title against Memphis and two seasons after going 0-12, the Knights are 12-0 and looking for respect. So to get respect, you have to earn it. In the Chick-Fil-A Peach Bowl, the Knights will tango with Auburn in Atlanta, which is prime SEC country. The Tigers are coming off a 24-7 loss to Georgia in the SEC title game but wins over Georgia and Alabama during the regular season has Auburn as one of the more talented teams in the country. The run game for Auburn is the calling card for their offense and the unit averages 228.2 rushing yards per game. Can UCF prove themselves against a mighty SEC opponent? It’s been a rough two weeks for the Miami Hurricanes. It started with an upset loss to Pittsburgh last week which ruined a perfect season. 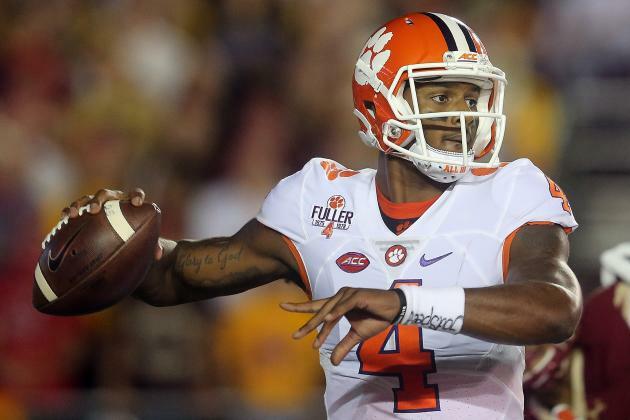 Then, in the ACC title game, the Hurricanes were served a 38-3 loss at the hands of top-ranked Clemson. A 10-2 season is still impressive and most programs would love it. Miami did get a slight sigh of relief as they were appointed the Orange Bowl in Miami against the Wisconsin Badgers. There will likely be a raucous crowd as it is essentially a home game for the Canes. Shaking the bad vibes off in front of a home crowd is probably what they need at the moment.